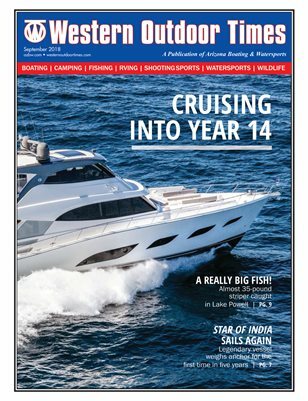 The Voyage Continues - By Carol L. Allen In September 2005, our Publisher Jim Allen and Editor Carol Allen delivered the first copies of issue number one of Arizona Boating & Watersports. Jim drove the papers — in an old 1973 Dodge Balboa motor home — from San Diego, Calif., where the couple lived on their boat at the time, to our Arizona “land home”. That was 13 years ago! And now, as we enter our 14th year of publication, we look forward to continuing this journey with you — our supportive advertisers, contributors, readers, and staff — to whom we are so very grateful. We could not have continued this voyage without you.